Blueberries are a human superfood. Those little blue orbs represent summer, are high in antioxidants, go well in pies and smoothies, and are downright delicious. 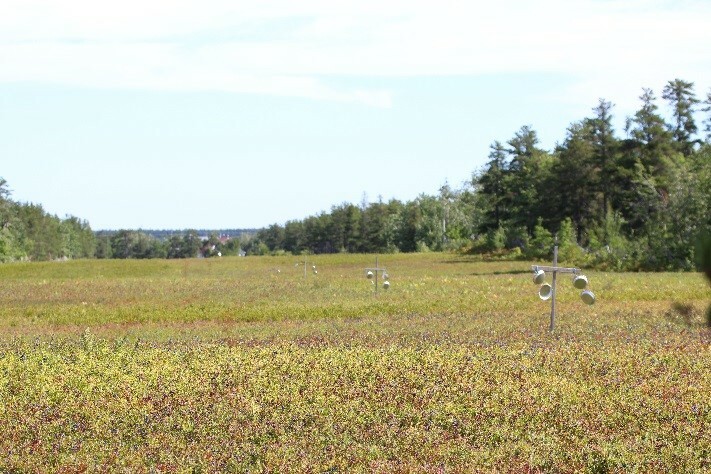 It turns out that blueberries are another type of superfood – each July and August in Atlantic Canada, they help fuel a shorebird’s 6,000 km (3,700 miles) nonstop flight across the Atlantic Ocean. Whimbrel are a beautiful, large, brown shorebird species with a striking downward-curved bill. Whimbrel are long-distance migrants –nesting in subarctic areas like bogs, tundra, and heathlands in Alaska, the Mackenzie River Delta, and the Hudson Bay Lowlands, and spending their winter in the mangroves and coastal wetlands of the Caribbean and South America. Whimbrel is also understood to be a species in decline. It is a species of high conservation concern in the United States and Canada in part, due to local observations of dramatic population declines. Although estimates of population size are difficult to ascertain, current estimates for the entire North American race of Whimbrel range from 66,000 (Morrison 2006) and 80,000 birds (Andres 2012). For comparison, that’s a close equivalent to the number of students attending Ohio State University and the University of Toronto, respectively. 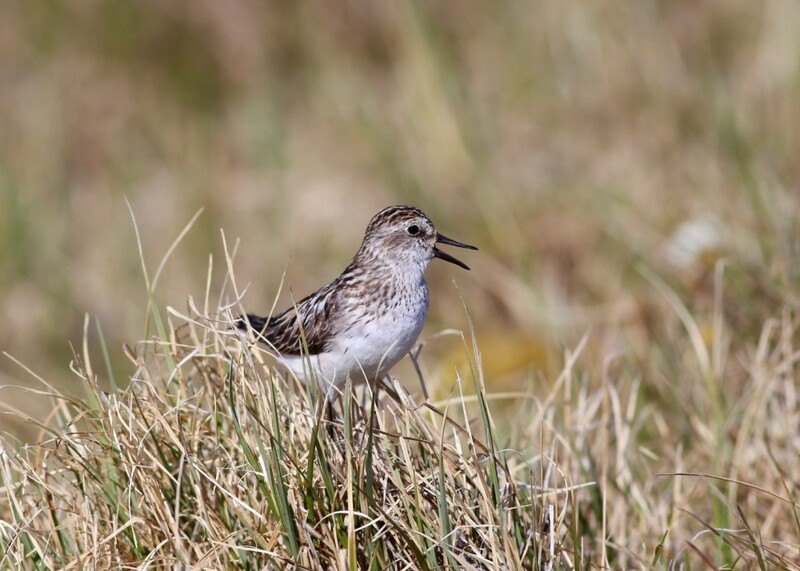 Manomet’s Shorebird Recovery Program is dedicated to identifying trouble spots during a shorebirds life cycle and working collaboratively with regional partners to address issues locally and reduce threats at the most important sites. By working with biologists and land managers throughout the Western Hemisphere, we strive to improve enough local conditions for the birds that, when taken together across an entire migratory route, can add up to flyway-scale benefits for shorebird populations. Through our Habitats for Shorebirds workshops, we are able to piece together the larger conservation picture for shorebirds and pinpoint where improved environmental conditions are needed. 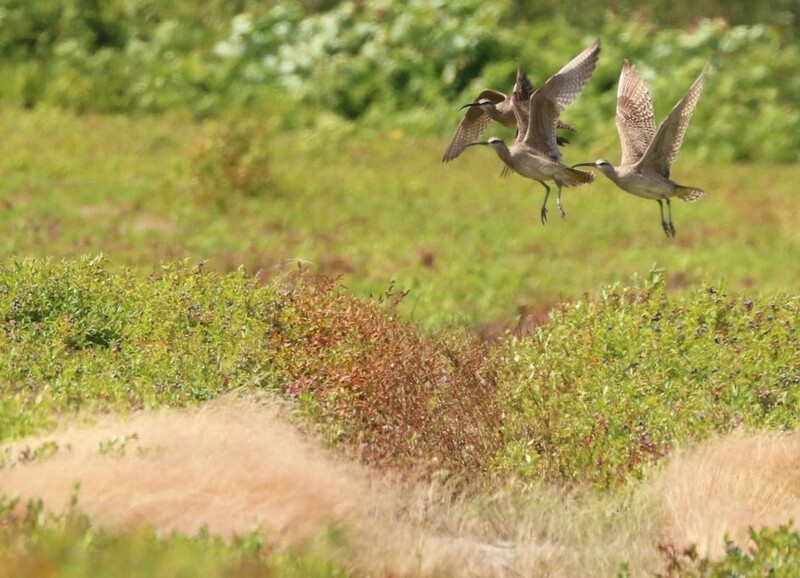 Brad Winn and I first learned of the ‘blueberry and whimbrel’ issue in 2014 when we taught a Habitats for Shorebirds workshop in the Bay of Fundy and had a chance to understand the situation from Canadian Wildlife Service biologist, Julie Paquet. Since then, Manomet’s Habitats for Shorebirds team has been sharing information about our experiences in shorebird conservation and providing advisement on techniques that have worked in other regions where agriculture provides habitat for shorebirds. This August, I had the opportunity to see it all in person. Over the last few years, the scientific community has learned quite a bit about Whimbrel migration and their use of the Acadian Peninsula in New Brunswick, Canada. 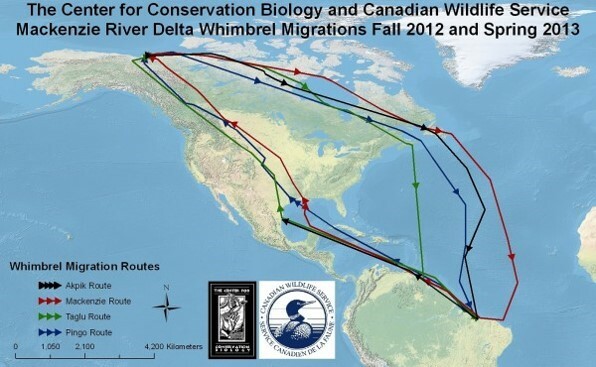 Research conducted by The Center for Conservation Biology (CCB), the Canadian Wildlife Service, and Mount Allison University has highlighted an elliptical shaped migration connecting 1) breeding areas in the Mackenzie River Delta with 2) stopover sites in eastern Canada, to 3) the wintering areas in northern South America, then 4) the return flight across the Caribbean and Gulf of Mexico to the Laguna Madre of Mexico and Texas back to the breeding areas on their northbound migration. Our current understanding is that the Whimbrel using the Acadian Peninsula breed along the Mackenzie River Delta on the border of Alaska and the Northwest Territories. CCB and Mount Allison University biologists estimate that the number of Whimbrel using the Acadian Peninsula range from 1,200 in 2014 to 344 in 2016 (Nagy-MacArthur 2016). Those may seem like small numbers, but they are biologically significant when we think about the entire North American population being equivalent to the number of students in one university. Map of migratory paths of individual Whimbrel. Whimbrel were fitted with satellite transmitters by the Center for Conservation Biology and the Canadian Wildlife Service. Map used with permission. The incredible journey of the Whimbrel is only possible because there are a series of sites with reliable food resources to fuel the trip along the way. The Acadian Peninsula is one of those sites. Historically, this area provided a mix of coastal beaches and salt marshes as well as heathlands. These habitat types provide foods like invertebrates and native crowberries that supported Whimbrel migration. In fact, another common name for crowberry is curlewberry. Which is particularly fitting because Whimbrel are a type of curlew. 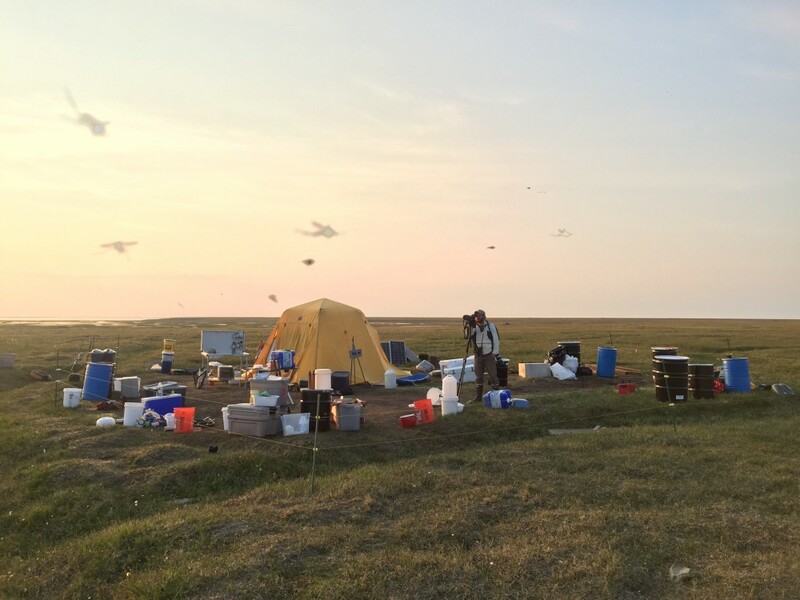 This area was also a major staging area for another shorebird, the Eskimo Curlew, a species that was hunted heavily and has not been seen since the 1980s. 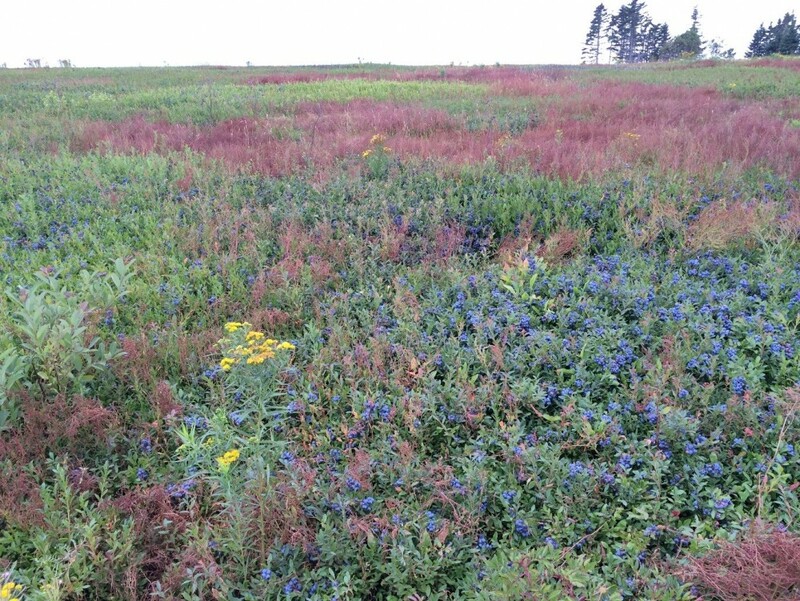 Today, a large amount of land in the Acadian Peninsula has been excavated for peat moss (the kind you use in your garden) or converted to farmland to accommodate the skyrocketing popularity of blueberries. 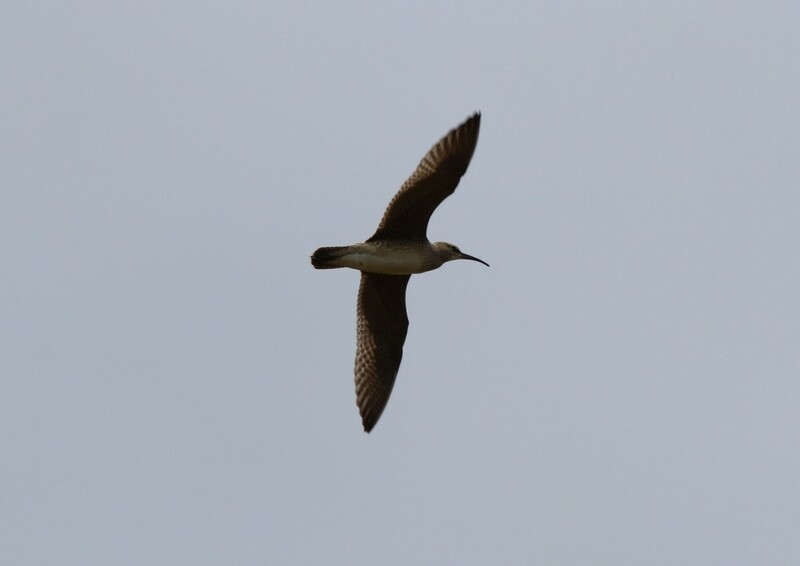 Individual Whimbrel stop in the region for approximately three weeks in July and August where they will rest and eat (invertebrates like caterpillars, spiders, grasshoppers, and beetles as well as blueberries) while they gain sufficient weight to make their trip across the ocean. 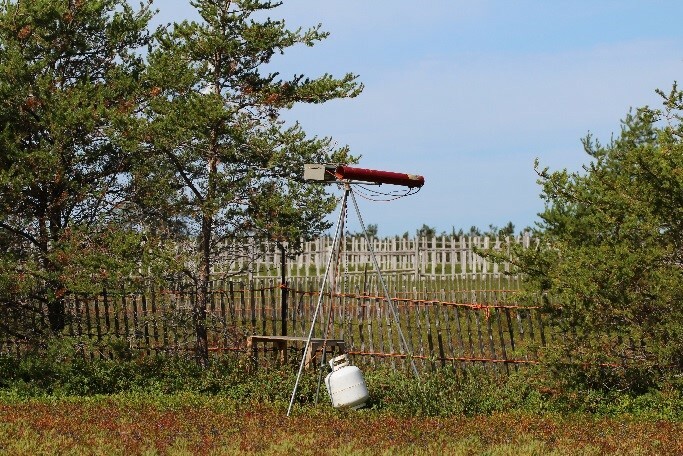 During that time, blueberry fields are nearly ready to harvest and farmers and farm staff actively work to keep Whimbrel out of their blueberry fields. They do this through the use of loud canon air guns, shiny pie pans as deterrents, playing distress calls over loudspeakers, and in some cases, directly shooting birds. 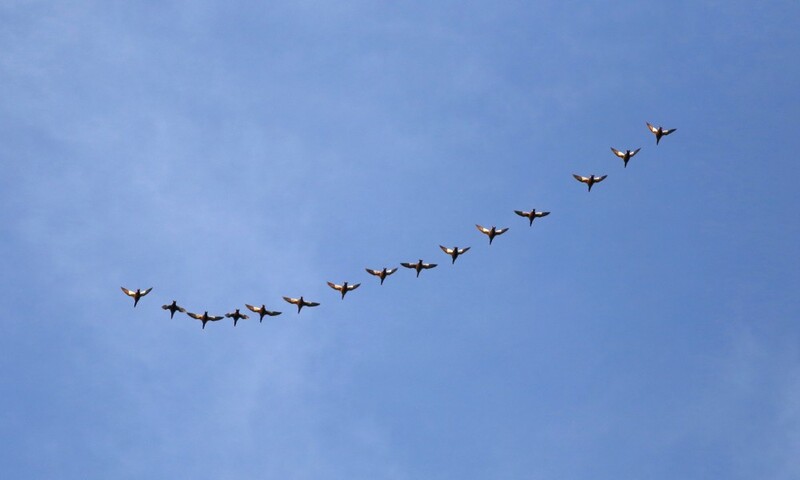 The problem with hazing is that, like other forms of disturbance, it can reduce the bird’s fitness and subsequently their ability to successfully migrate. Farmers consider Whimbrel to be a pest because, well, they eat blueberries, but also because they are a conspicuous sight when they are using a field. That makes them easier to blame than other species that might be causing more damage but are difficult to see or are using the field at night. And, it is true, Whimbrel do eat blueberries but they eat a small amount when compared to the total value of the region’s crop (a $39 million dollar, 78 million pound industry in the Province of New Brunswick). In the larger scheme of things, there are a relatively small number of Whimbrel using the area and the conservation value those blueberries provide by fueling southbound migration is important. In 2015, assuming all 518 Whimbrel in the Acadian Peninsula ate only blueberries (which is an oversimplification) biologist Avery Nagy-MacArthur estimates these birds ate between $1,321 to $2,518 worth of product. So, here is the conservation conundrum: how do we work with farmers to support wildlife like Whimbrel? Is there a future where blueberry farmers might let Whimbrel gorge on these superfood morsels and even enjoy seeing their arrival each year? Shorebird conservation in this region will rely heavily on outreach to the local community and the farmers. 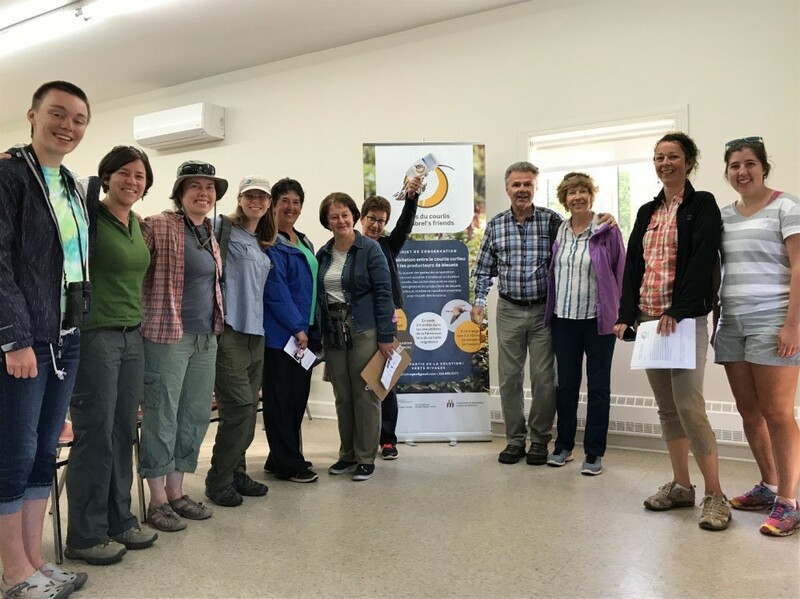 Julie Guillemot of The University of Moncton, Shippagan Campus and Lisa Fauteux with the non-profit Verts Rivages are leading the charge in both social science and outreach efforts through their group Amis du Courlis (Whimbrel Friends). In 2016 they surveyed 40 blueberry farm employees or owners. They found that blueberry farmers in the Acadian Peninsula vary in size and growing objectives. The region is home to producers with small farms, farmers that grow blueberries as a side business, and some of the largest blueberry producers in the world. Half of the producers surveyed farm less than one hundred acres and two of the producers farm over 1,000 acres each. Most survey respondents were able to recognize Whimbrel from other birds but did not know the species name or its migratory life history. Two-thirds of respondents reported that Whimbrel used their fields and that Whimbrel were often observed with gulls. The survey identified opportunities for dispelling certain Whimbrel myths with blueberry farmers and the public. For example, nearly half of the survey respondents provided their estimate of the amount of blueberries that Whimbrel ate. Their estimates ranged from 320 grams to 3 pounds per day and between 1% and 20% of their total crop production. Avery Nagy-MacArthur used behavioral observations and energy needs to estimate that Whimbrel eat significantly less than what the farmers predicted, one Whimbrel can eat between 5 to 10 pounds of blueberries over the course of their entire stay in the area. Thus, in 2017, outreach efforts were focused on sharing information about how and why Whimbrel use the Acadian Peninsula as well as the actual impact of this bird species on their crop. During my visit, we conducted the first citizen-science based Whimbrel count in the Acadian Peninsula. The counting teams were made up of university students, visitors from Quebec, local nature groups, and biologists. It is through events like these and through news articles and radio spots, through environmental education programs, and farmer surveys, that trust, relationships, and the awareness necessary to support Whimbrel will be founded. 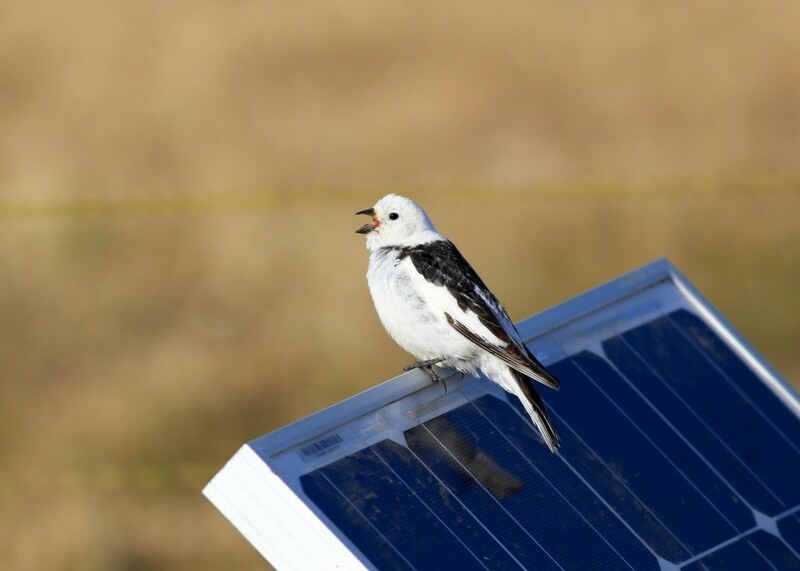 By communicating the results of the biological research, Amis du Courlis is helping inform decision making and conservation actions on the ground. For some people that hear the radio segments, it is the first time they learn about the very birds they see every year. 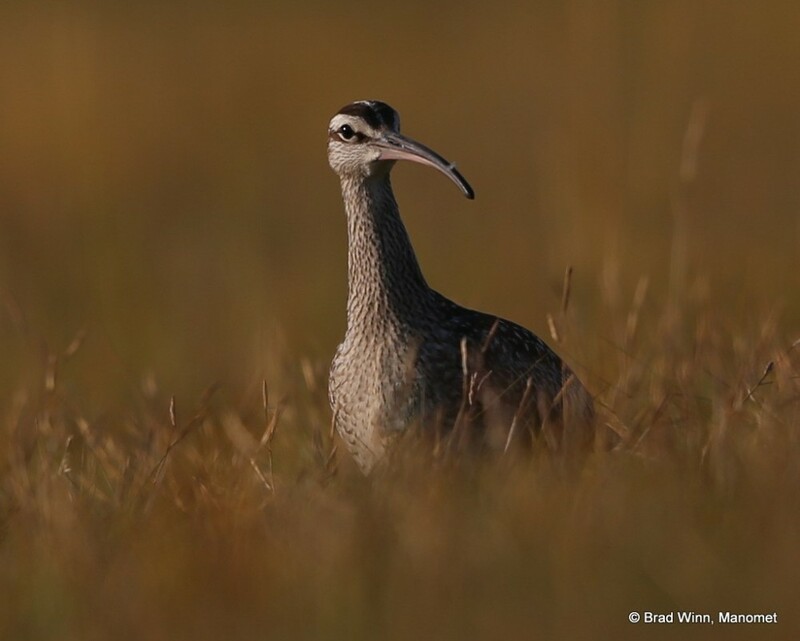 For some farmers, access to the estimates of the crop value lost to migrating Whimbrel might be enough information to stop the bird harassment. Perhaps future efforts could include commitments from farmers and the blueberry-buying industry not to harass or shoot Whimbrel. Perhaps there is merit to celebrate both migration and the blueberry harvest through a Whimbrel and Blueberry Festival. Hopefully, through this multi-pronged approach being led locally in the Acadian Peninsula, coupled with conservation efforts occurring throughout the Whimbrel’s life cycle, we can collectively keep Whimbrel from going the way of the Eskimo Curlew. The breeding bird scene on the Canning River Delta begins to wind down in earnest by the second week of July. Active shorebirds nests dwindle into the single digits, and soon only loons and a few waterfowl nests are all that remain active. Flocks of sandpipers and plovers are seen flying overhead and in the distance skeins of sea ducks can be seen following the coast westward. The Beaufort Sea ice has devolved into bergy bits and rumors of Polar Bears on the barrier islands trickle through the satellite communication waves. 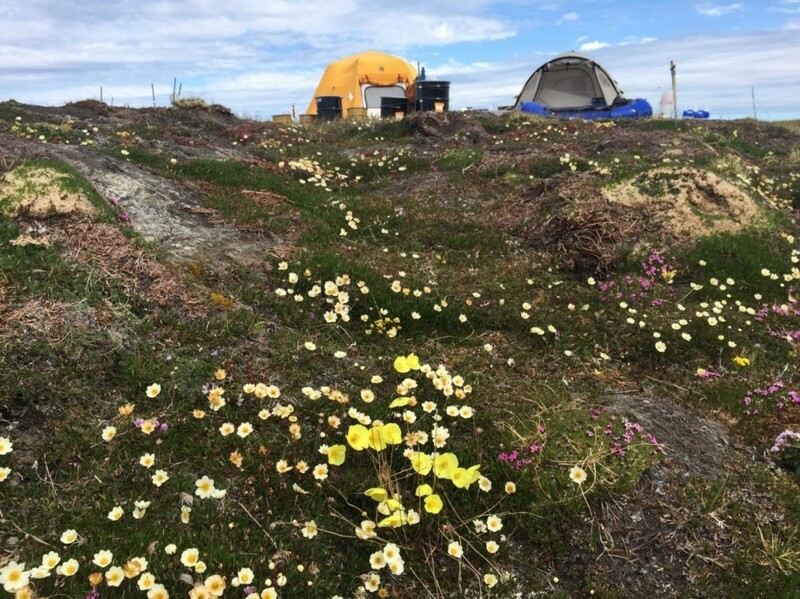 Just like the shifting seasons, life in the Canning camp begins to change as well. Our nest-checking circuits through the study area shorten and the pile of completed nest cards grows. Hours spent nest-searching become hours spent entering data and contemplating the future. Fresh bread and vegetables become a distant memory, replaced by pilot bread and peanut butter. The time has come for the literal scraping of the bottom of the barrel and the redefinition of delicacy. Yes. It is time to throw stuffing mix into a bowl of ramen noodles and eat handfuls of Hall’s throat lozenges for dessert. What are the last few days of camp really like? Here is a series of photos that help encapsulate what Patches, Alex, and I were up to. 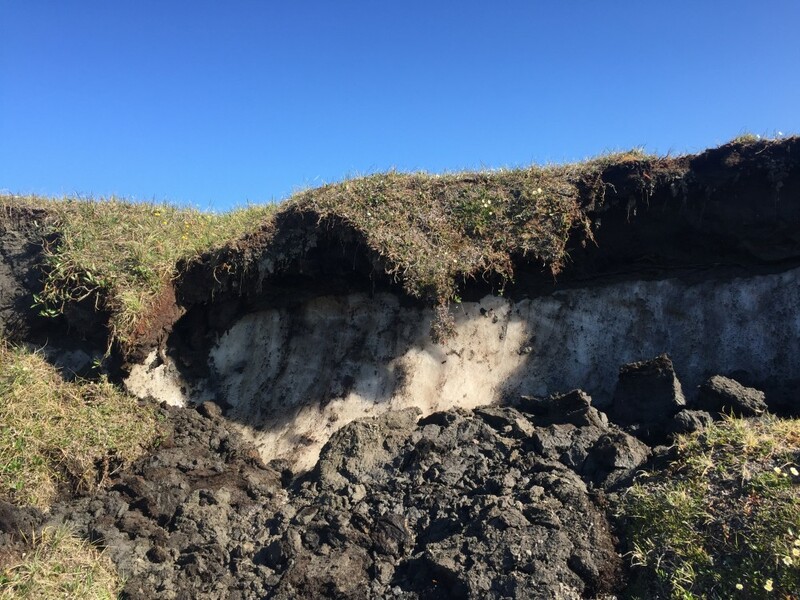 Ever wonder what permafrost looks like? The bluffs along the Beaufort Sea slump in the mid-summer heat, revealing their icy core. 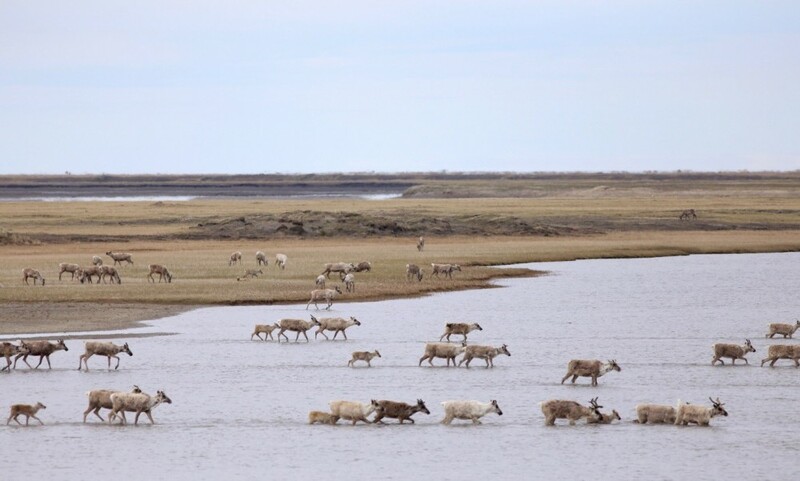 The tundra wetlands that Arctic wildlife rely upon sit atop this frozen layer, creating habitats typical of much wetter environments. One of the fixtures of mid-July at the Canning is waterfowl migration. It all starts with the exodus of males from the breeding grounds, like this flock of White-winged Scoters flying high directly over camp. 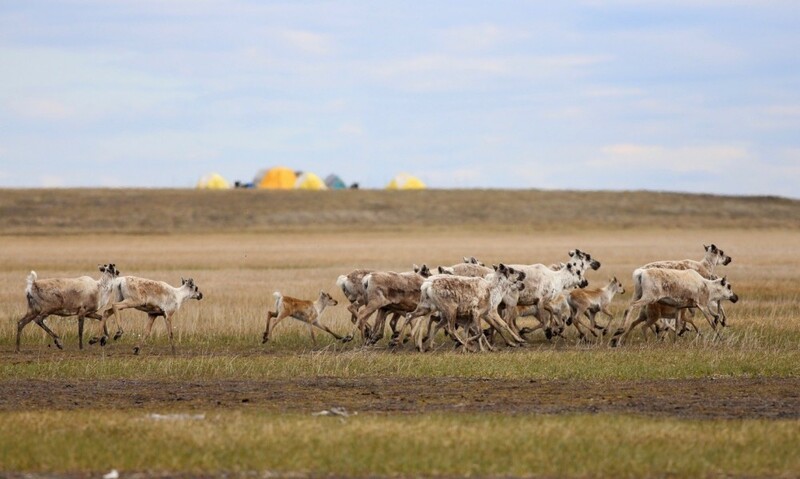 One of our final nights through camp, we spotted a medium-sized Caribou herd in the distance headed our way. Alex and I laid low in the tundra mounds and the herd continued in our direction. Turn up the volume and listen to those grunts! Before anything could get packed up, we had to do a complete inventory of camp, covering everything from the number of tuna cans (60) and rolls of toilet paper (1) to the number of binder clips (75) and tent stakes (200). While doing this, we had to decide which items could stay in camp and which would need to return to Fairbanks for the winter. Then, we assigned each item staying in camp to a bear-proof metal drum that we lined with a thick plastic contractor bag and sealed up with a desiccant. Here Alex takes a break to scan for mammals while getting photobombed by just a few midnight mosquitos. 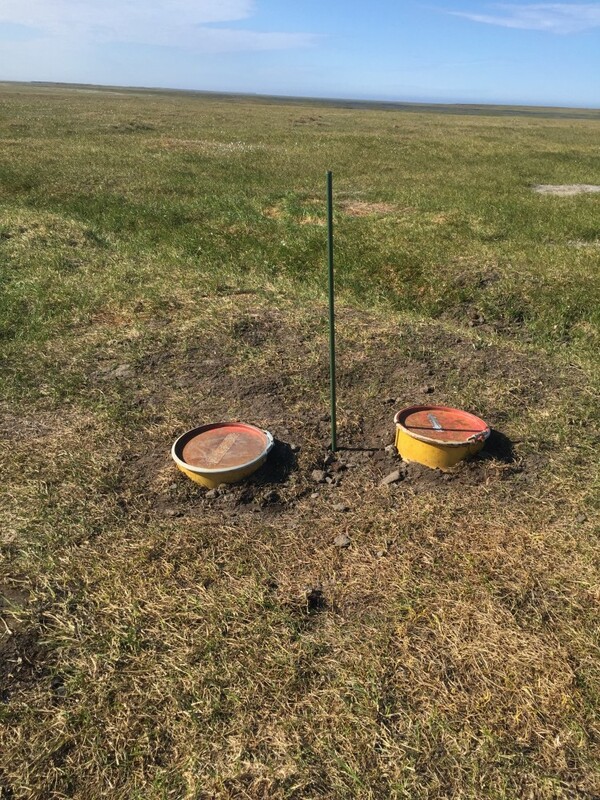 Spearheaded by the enthusiasm of Patches, we set out to bury two barrels to be used as refrigerators for the 2018 field crew. This is a task that can only be done during mid-summer, when the permafrost has receded enough to allow excavation. Come next spring, the barrels will be locked into the frozen soil. What does that translate to? More cheese! The final task was to assemble all gear that was remaining in camp into a fortified pile to withstand the Arctic winter blitzkrieg of -50°F temperatures, hurricane force winds, and darkness. How to prepare for such an onslaught? In addition to sealing everything in metal drums, we used wooden planks to elevate everything we could and used two large weather resistant canvas tarps as protection, driving large nails through each grommet. We then used all the rope we had to tie the beast down in every direction. On the morning of July 17th, I called refuge pilot Dan Shelden in Fairbanks to report a 1,000 ft. cloud ceiling and improving visibility of the Brooks Range. He reported that the weather was suitable for flying on his end. Showtime! 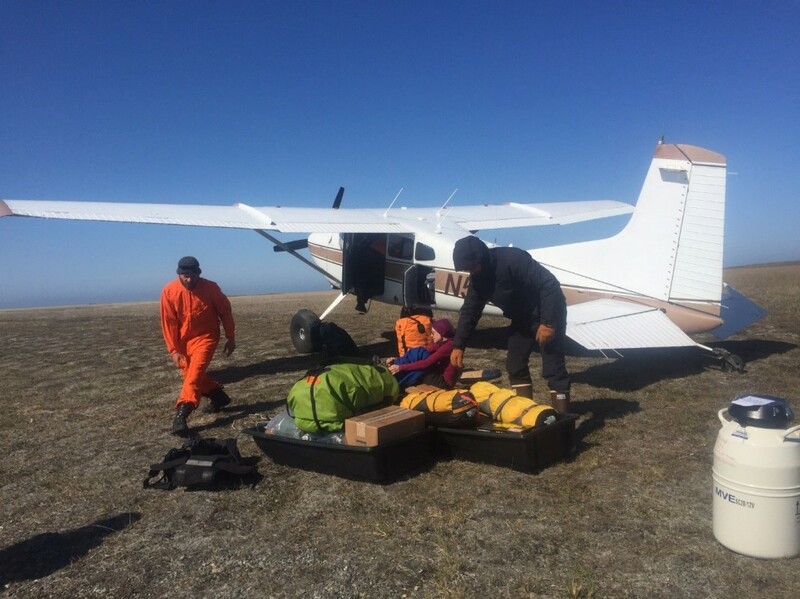 After the four-day scramble to pack up camp, all there was left to do was to drag everything headed back to Fairbanks down to the runway and wait for the sounds of the Cessna 185. 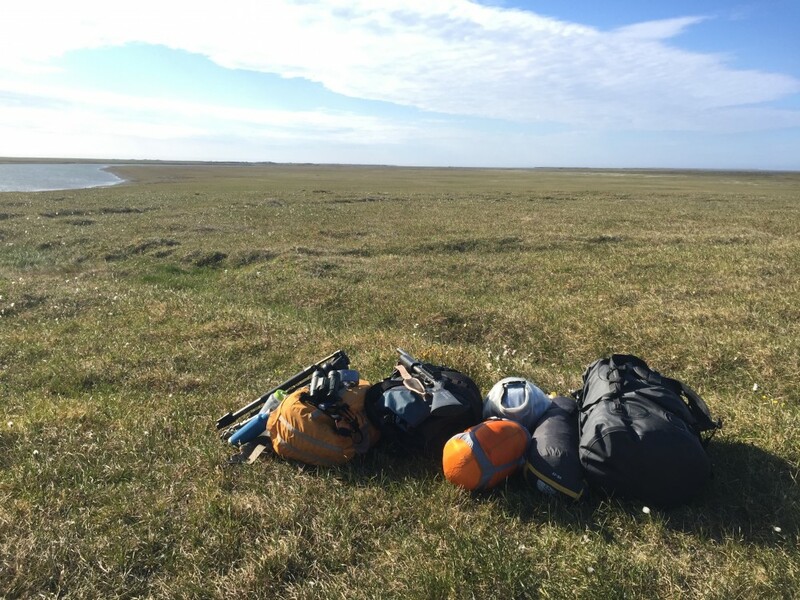 This photo shows my personal belongings after I broke down my tent and before I descended to the riverbank landing strip. Dan arrived around 1:00 pm and made two flights to Galbraith Lake ferrying Alex and gear before heading from camp back to Fairbanks with Patches and me on the 3rd and final flight. Our flight back to Fairbanks took us from our camp on the Arctic coastal plain back south over the Brooks Range and into the boreal forest. To be able to observe this unspoiled wilderness from this perspective is something that will stay with me forever. The rainbow wasn’t bad either! This project is a partnership between Manomet Inc., the U. S. Fish and Wildlife Service, the Wildlife Conservation Society, the U.S. Geological Survey, and BP Alaska Inc. Major funding was provided by the National Fish and Wildlife Foundation, and by donors to Manomet. 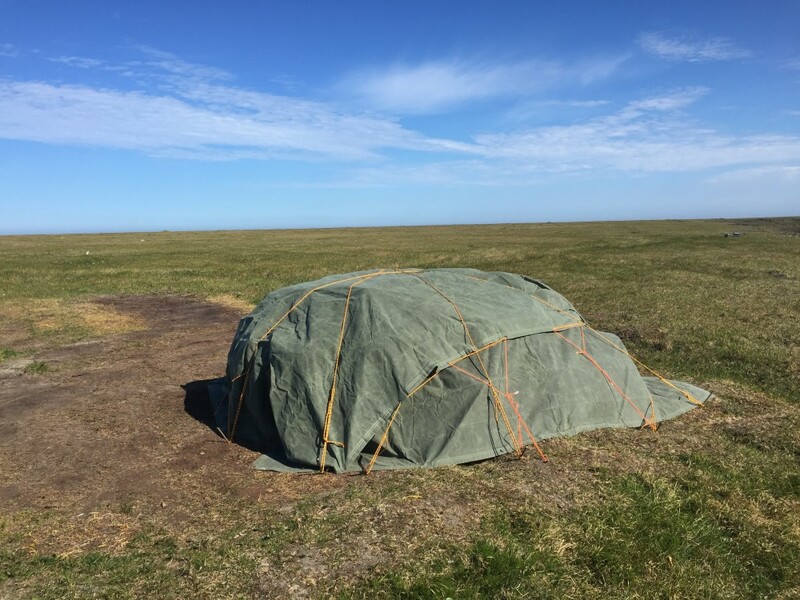 In this podcast, Alan Kneidel updates us on this year’s Shorebird Science project in the Arctic National Wildlife Refuge, including ongoing nest monitoring as chicks hatch and retrieval of geolocators placed on Dunlin in 2016. For a refresher on this year’s project, check out Shiloh’s first blog post this year which described the GPS tags the crew placed on Semipalmated Sandpiper and Dunlin to help us understand which coastal sites they use for feeding prior to migration and if these include areas where oil from oil spills may concentrate, areas proposed for oil and gas development, and areas currently being used by native communities and industry, as well as how changes caused by climate change and coastal development are affecting shorebirds on the Arctic Coast.